Step into spring on a healthy foot! 3 top tips to find the perfect winter boot! You may be doing a lot of walking, dancing, standing and/or sitting in one position throughout the holiday season. No one wants soreness or injuries to slow them down during the holidays, so it’s important to care for your feet so they can carry you through all the seasonal celebrations and chores. Pedicure properly – Picture-perfect toes are part of a great holiday wardrobe for many women. Whether you do it yourself or go to a salon, be sure your pedicure is done properly. Never use a razor to remove dead skin – opt for a good pumice stone instead. Don’t cut cuticles; push them back gently. Use toenail clippers with a straight edge to cut nails straight across. Wear smart shoes – OK, so you’ll never give up your sparkly high heels when it’s time for that special soiree. But for other holiday activities such as shopping, traveling or cooking, ditch the high heels. When you know you’ll be on your feet all day, wear comfortable shoes with good arch support and a padded sole. Get help – Feet shouldn’t hurt all the time. Persistent foot pain can be an indication of injury, irritation or illness, so please call our office, 440-442-3113. We are here to help! *This information was provided by the APMA. Walking is great exercise and one of the most reliable forms of transportation, but if your feet aren’t in the best shape or you don’t have the right shoes, too much walking can cause foot problems. The right shoe is also important to healthy walking. The ideal walking shoe should be stable from side to side, and well-cushioned, and it should enable you to walk smoothly. Many running shoes will fit the bill. There are also shoes made especially for walking. Walking shoes tend to be slightly less cushioned, yet not as bulky, and lighter than running shoes. Whether a walking or running shoe, the shoes need to feel stable and comfortable. If you’re not accustomed to long walks, start slowly and rest if your feet start hurting. And above all, have fun! If you have any further questions and/or concerns or went on vacation and have continued foot pain please contact our office for an appointment, 440-442-3113. We are here to help! Approximately 85% of patients with plantar fasciitis respond to non-surgical treatment, however, if, after several months of non-surgical treatment, you continue to have heel pain, surgical options can be discussed and we would be happy to discuss these options with you. Don’t let heel pain stop you from enjoying the beauty of spring. If you are suffering from heel pain, please give our office a call for a consultation, 440-442-3113. We are here to help. Step into spring on a healthy foot! As winter is still present here in the Cleveland area we here at Dr Robert Weaver DPM would like you to enjoy all the winter outdoor activities, ice skating, hockey, sledding, skiing, snowboarding and other cold wintery activities, injury-free. Each of these activities keep you active during the colder months of the year, however, can be the culprit for many injuries. 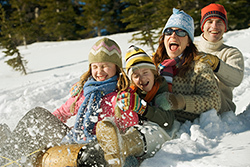 Broken bones are amongst the most common injuries in the wintertime. In winter sports, there are a lot of slips and falls that can particularly target your foot and ankle. The most commonly broken bone is the tibia, aka your shin bone. In your ankle there are 3 main bones that work together, the tibia, fibula, and talus. Most of the time your tibia is the bone that takes most of the impact when trauma or fall is sustained. 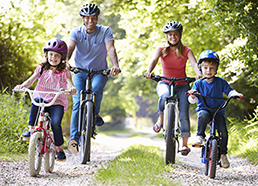 Physically active children and adults are used to getting bumps, bruises, and other minor injuries, however, there are common signs that you can check for to indicate a fracture. First, the inability to play or weight-bear following an acute or sudden injury. Secondly, decreased ability to play due to a chronic or long-term complication following a previous injury. Thirdly, physical deformity of the limb or joint, example bump and/or lump. Catching these injuries early is better for you or your child, it will help to prevent a minor injury from turning into a serious one. There are many forms of treatment for ankle fractures, including cast and crutches, however more serious fractures may require surgery. If you or someone you know might be interested in discussing more about your foot or ankle health, in the wintery weather and safety precautions don’t hesitate to give our office, 440-442-3113. We are here to help! Since winter as finally arrived in Cleveland, winter boots have become a popular footwear choice. With so many boots to choose from, we’re here to help navigate to towards the best choice for your foot! Look at the gradient from the heel to the toes and ideally choose a boot which has less than a two inch heel. Check the innersole of the boot. Does it come out? Is it thick and cushioning? If so… PERFECT!! That is a good sign it will offer the foot great support. Check the material of the boot. Is it firm? Does it hold well when under the pressure of your hand? 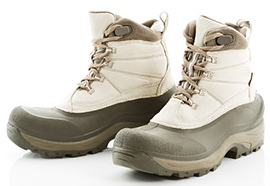 You want to find a boot that is strong enough to support your foot and not flimsy or buckling under your weight and/or feet of snow. If you have any questions please feel free to contact our office, 440-442-3113. We are here to help keep you feet warm and safe this winter!